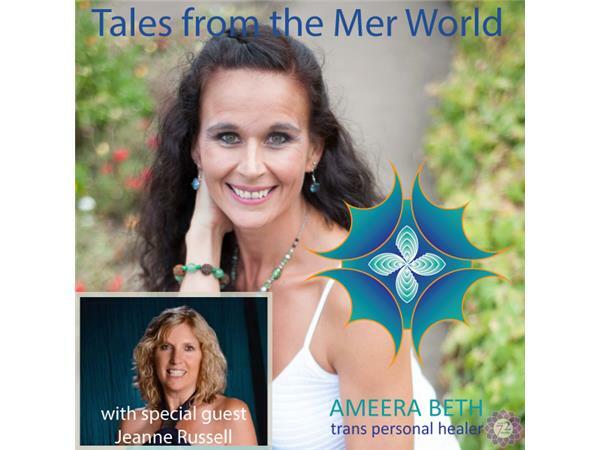 Tales From the Mer World with Ameera Beth is a monthly program with the intention of merging this realm with the frequency of Atlantis and the Mer world. Ameera's Spiritual lineage is Atlantean, and the mer Folk, and it is her desire to bring forward ancient knowledge of a variety of topics that are important to the evolution of the planet and all beings. This months program features a special guest; Jeanne Russell, Owner of Dolphin Touch Wellness Center in Kauai, Hawaii. She is the ceator of Dolphin Energetics and Aqua Dolphin Energetics, a Reiki Master, Teacher and Coach. You can find out more information about Jeanne at www.dolphintouch.org. Ameera is a gifted trans personal healer, past life regression facilitator, spiritual mentor and so much more. Ameera sees clients in her healing space in the Portland/Vancouver area, and by phone or Skype. You can also contact her about ministry and mentoring services. For more information or to schedule a session visit Ameera's website www.ameerabeth.com.